Here is an Easy Course in true Grapevine style: Examples, illustrations, and clear, simple explanations give you a real feel for the machine and how its many features work together. Finally, design your own applications--directories, custom menus, and more! 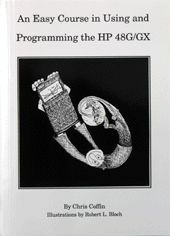 An Easy Course in Using and Programming the HP 48G/GX is the best self-study course you'll ever take. If you read just one book, this is it!